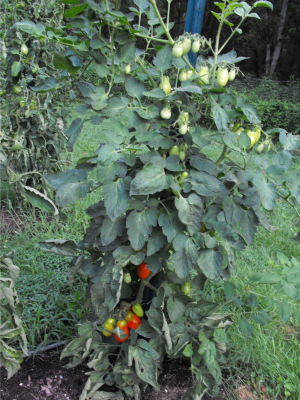 Have you tried Cherokee Purple tomatoes? They are the most blight-resistant I've tried. 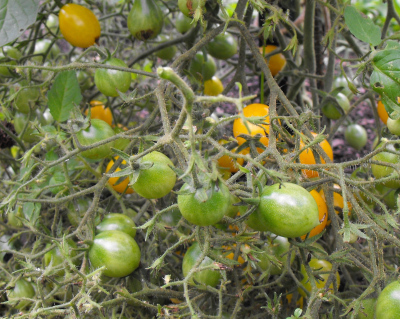 In Northern VA, where I live, all my tomatoes get infected with something that turns them green and yellow, and then brown, from the bottom up. Through better care of the soil, I've managed to bring two other varieties to harvest this year, but last year with zero effort I got three harvests out of the Cherokee Purple -- they didn't die till they got snowed on! This year they seem to be following the same pattern. They're intended to be a slicing tomato, but they make great sauce all the same. Sheila --- Interesting to see a vote for Cherokee Purple as blight resistant. I'd heard great things about their flavor but nothing about disease. I'll have to give them a shot!